Fact or Fiction? - Wonderland & Co.
“Your lead mentions that the Queen’s corgis ran through the palace during the fire,” my prof looked at me questioningly. “Yup.” I wrote it, so this was not surprising to me. “Well, that wasn’t in the fact pattern I gave you,” she raised an eyebrow. “Yeah, but it’s not like her horde of dogs would just sit there calmly while the palace burned down around them,” I offered helpfully. I didn’t think it prudent to also mention that the facts she gave me were quite boring. Obviously, my professor hadn’t spent a lot of time around dogs. I was happy to be able to enlighten her on canine behaviour. Surely I would get 100 percent (I did not. I got to rewrite the article.). Needless to say, as soon as the requisite journalism courses were completed, I looked for a writing style that was, well, more my style. And I found it, in creative non-fiction. Here, I’m allowed—encouraged, even—to relay the facts, but with embellishment. Adam would say I embellish a lot. I like to think I’m just making things more interesting. Anyway, when it comes to storytelling, we all have a style. 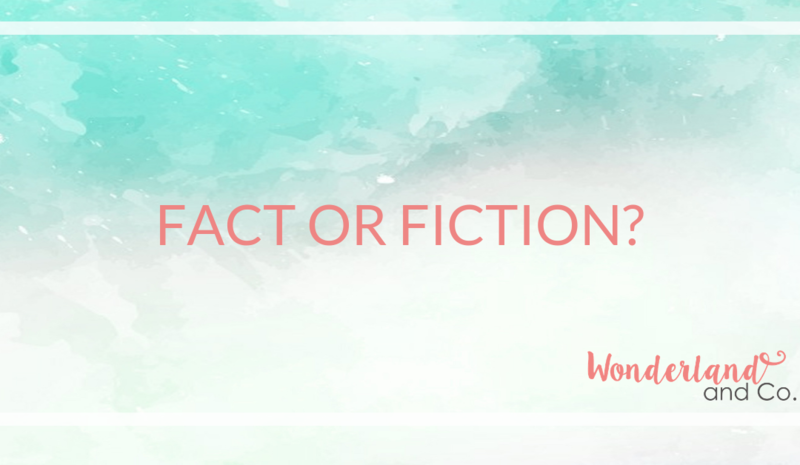 My guess is that fact or fiction, your preference is evidenced in the way you experience stories, or certainly in how you relate, and relate to, your experiences. You may wonder where I’m going with this, but I promise the clarity shall be forthcoming. My prof would call this burying the lead. Hang on, though: The theme is story, after all. I remember the “aha” moment I experienced when I realized that history was not the same thing as the truth. That a historical account could be relayed differently, depending on who was doing the telling. It’s not that one historian set out to tell a lie; rather, they were limited by their perspective of the event, or the “truth” as they saw it. Perhaps this isn’t rocket science, but I remember it struck me quite profoundly. Does this mean that there’s no such thing as right and wrong? Truth and a lie? DEAR LORD, HOW WOULD I KNOW WHAT TO BELIEVE ANYMORE? The thing is that no matter your inclination, your experiences and your retelling of them will be based on what you can perceive with your senses. Two people in the same situation can have a very different experience of that situation at the same time. The facts are the facts, but that’s not usually what we focus on, is it? And really, sometimes the facts aren’t even the facts. We will interpret events, comments and even our own feelings, to create meaning and that is what we will share. To ourselves, the interpretation becomes the truth, fact or not. So here’s the thing: If it’s just an interpretation, if your fact is someone else’s fiction, then why are you choosing such a disempowering message? I’m not pointing the finger here; “you” refers to me, too. No matter what you choose to believe, you’re choosing to believe a story, because that is what life is. Is it in service of you and your life to choose a negative story? One that limits you and deflates your dreams? What do you get out of choosing to interpret your account of your life (your fiction, as it were) as a tragedy, and then make it your truth? I mean, if we’re choosing, why not choose something a little brighter? You don’t have to: You can choose whatever you want, but at least try to get that it’s all just your interpretation of the facts. How you choose to hold it (positively or negatively) is just a habit. Can you think of someone who’s wronged you? What about an event or circumstance that just didn’t go your way? What happens if you look at the facts and took out the interpretation? Is there some room to choose something else? Or let go of something you’ve been holding onto?